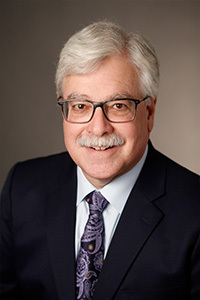 Dr. Lawrence O. Picus is Richard T. Cooper and Mary Catherine Cooper Chair in Public School Administration at the USC Rossier School of Education. He is an expert in the area of public financing of schools, equity and adequacy of school funding, school business administration, education policy, linking school resources to student performance and resource allocation in schools. His current research interests focus on adequacy and equity in school finance as well as efficiency and productivity in the provision of educational programs for PreK-12 school children. Picus is past-president of the Association for Education Finance & Policy. He has been a member of the EdSource Board of Directors for 12 years. Picus’ most recent books include: School Finance: A Policy Perspective 4th Edition (2008) with Allan Odden; In Search of More Productive Schools: A Guide to Resource Allocation in Education, published by the ERIC Clearinghouse on Educational Management in January, 2001; and Developing Community Empowered Schools (Corwin, 2001), coauthored with Mary Ann Burke. He has also published numerous articles in professional journals. Picus has consulted extensively on school finance issues in more than 20 states, and conducted adequacy studies in Arkansas, Arizona, Kentucky, Wyoming, Wisconsin, North Dakota and Washington. Before coming to USC, he was a Research Assistant at the Office of Intergovernmental Relations in Portland, Oregon; a Study Specialist at Northwest Regional Educational Laboratory in Portland, Oregon and Research Consultant for the Association of Educational Research in Illinois. He earned a Ph.D. in Public Policy Analysis from the RAND graduate school, a M.A. in Social Science from the University of Chicago, and a B.A. in Economics from Reed College.